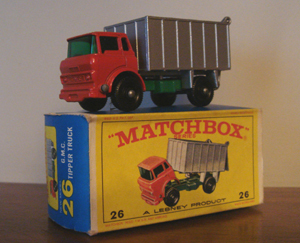 A very nice Matchbox Lesney no. 26 G.M.C. Tipper Truck. 100% original with the original box. It would make a great addition to your collections!